The choirs of St. John’s Church lead the congregation in singing the praises of God in its corporate worship. 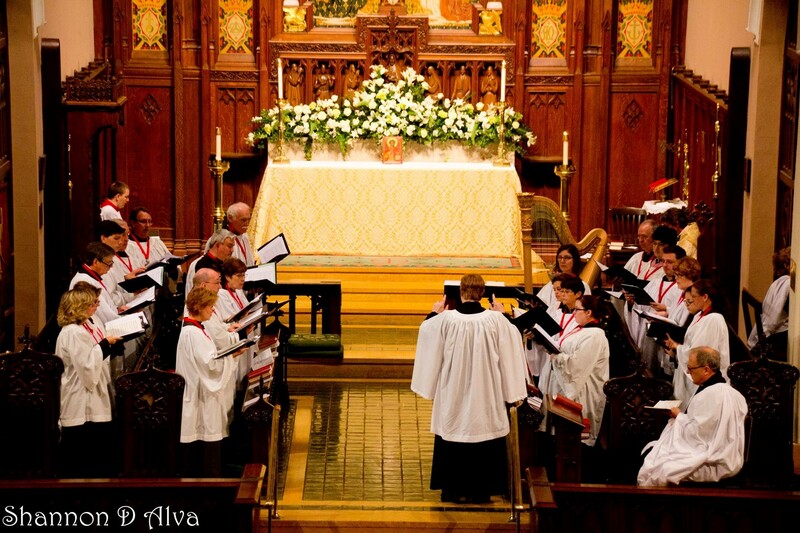 All choirs are trained to sing the finest sacred music from the classical Anglican tradition. The choirs have combined to produce three CDs and served as choir-in-residence at Truro, Litchfield, and Wells Cathedrals. Steven Branyon is a native of York, SC. and a graduate of North Greenville University, Winthrop University and Westminster Choir College. Mr. Branyon has served churches and synagogues in Florida, Georgia, South Carolina, North Carolina, New Jersey, and Pennsylvania. Mr. Branyon has performed in Great Britain at Briston, Salisbury, Litchfield, Truro, and Wells Cathedrals. He has professionally recorded with the choirs of St. Peter’s and Morristown, NJ. At various times, Mr. Branyon teaches Music Appreciation for the Elderhostel classes for Mercer University at Jekyll Island. He recently taught a course on Understanding the Organ for the local Senior Citizens Center in Savannah. Help support young adults in their educational pursuits. Choral Evensong is sung on several occasions through the year. A special concession of rehearsals is made to accommodate those who wish to join us from other churches. Rehearsals for these auditioned guest singers are held on the three Thursday nights preceding a scheduled Evensong. In 2016 we adopted the goal of establishing two twelve-person choirs, one for boys and one for girls, beginning at age 8, to be trained to sing in the English choral tradition in an environment of fun, fellowship, and friendship. The St. John’s Boys Choir currently meet on Tuesdays at 5:00 to 6:30pm during the school year. Any boy from age 7 is encouraged to audition for this choir. Modest stipends are paid and music lessons are offered as a part of this ministry. The St. John’s Girls Choir is expected to start in the fall of 2018. Prior musical experience not required; however, auditions are required and candidates must demonstrate musicality, the ability to focus, and willingness to be a part of a team. The primary requirement to join is an interest in music. Regular attendance is required. Good attendance is the primary commitment of every chorister and their parents. Families not of an Anglican background are welcome to participate in the Boys and Girls Choir. RSCM (Royal School of Church Music) is a world-wide organization whose mission is to make each chorister a healthy singer for life. St. John’s has been a member of this organization for many years. This systematic approach to church music is offered to all singers. Progress is marked by graded ribbons with an RSCM medal worn with vestments. Parish Choir members currently wear the St. Nicholas Medal, patron saint of the RSCM. This medal is not a recognition of the level of individual achievement, but rather a reminder of the standards the choir seeks to attain. WORKSHOPS with a guest conductor will often be scheduled one or two times annually. These conductors are often considered the best in the church music field. These are scheduled well in advance and give all choristers an optimum chance for vocal growth, and they should be considered an obligation rather than an option. TOURS are often arranged for the choirs of St. John’s to sing at other venues both nationally and internationally. St. John’s have made three trips to England to sing at Truro, Lichfield, & Wells Cathedrals. RECORDINGS have been made for the Sonare label . The choirs first recording was commissioned by the Prayer Book Society and is no longer available. Two recordings and a DVD are currently available for purchase. LIKE STARS APPEARING has music for the Feast of All Saints, recorded at St. Peter’s Church, Savannah. MY SPIRIT HATH REJOICED contains a variety of anthems by Stanford, Tallis, Attwood, Smart, Morley & Wood.